You may not believe it but even coaches need coaching from time to time. That’s why I’m very excited to share this episode of the Addicted to Fitness podcast with you all. 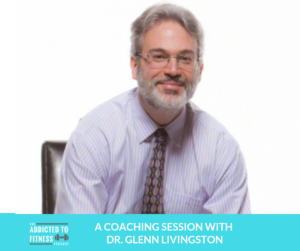 On this episode, recent ATF guest Dr. Glenn Livingston (past appearance) helps me discover how my food choices have and will affect every aspect of my life. 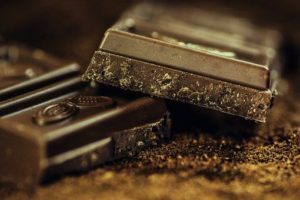 Dr. Glenn is a veteran psychologist who looks at the mental aspect of food addiction & binge eating and does an excellent job explaining the importance of defining specific rules for problematic foods. Below are a few highlights from our conversation, but make sure you listen to the entire interview to hear how deep we really go. I’m really proud of this episode and encourage anyone that has an issue with certain detrimental foods to contact Dr. Glenn and schedule a session with him. He then asks me how would these rules affect my life? Then he asks me why what I do is important to me? If I don’t adhere to these foods rules, what would happen? What excuses would food demon give for why I don’t need to subscribe to these rules? Identify the food demon lies? If you’re an individual that struggles with binge/emotional eating, I highly recommend reaching out to someone like Dr. Livingston. You should always feel free to reach out to us also if you have a health-related question. If we don’t know the answer, we can connect you with someone who does. You can connect with us on Facebook, Instagram and Twitter or send an email to theatfpodcast@gmail.com.